The Hollywood version is of hard riding steely eyed men blazing an trail across the American West. In the movie version they usually have countless adventures, fight off Indians, and find romance along the way. In truth, the reality is greater than the legend. In spite of the Hollywood version of the hunky hero, the riders were all in their teens and weighed less than 125 pounds in most cases. the company preferred orphans for obvious reasons. Shown end to end the Hollywood movies span more years that the actual existence of the Pony Express The Pony Express made its first ride April 3, 1860 and its last on October 28, 1861, slightly more than 18 months. It was replaced by the telegraph, which could cut the delivery time from ten days to ten seconds. Progress marched on but history and legend continue. 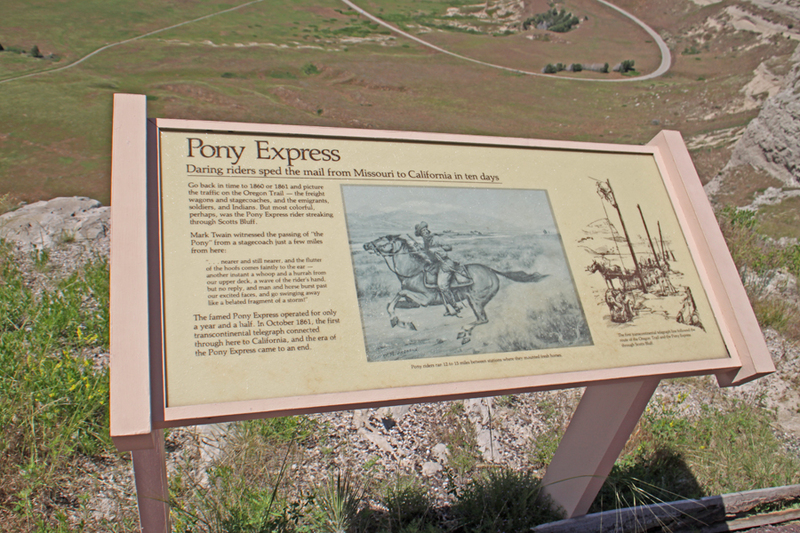 The Pony Express is ranked among the most remarkable period of the American Western history, Its primary mission was to deliver mail and news between St. Joseph, Missouri, and San Francisco, California. When the Pony Express completed its last run, an unforgettable era passed into history. Today, we still search for the elusive truth somewhere between Hollywood's portrayals and true history. 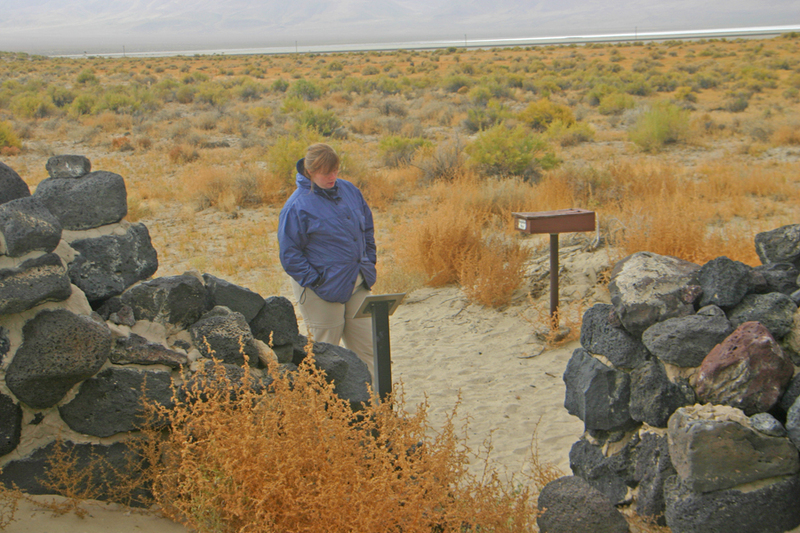 Over the years I have visited several of the Pony Express stations and other places related to the famed mail service. 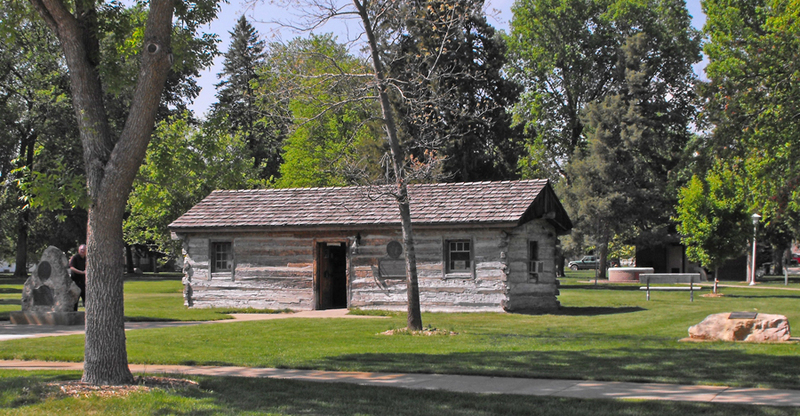 A visit to the Pony Express Station in Ehmen Park is a step into that storied past. 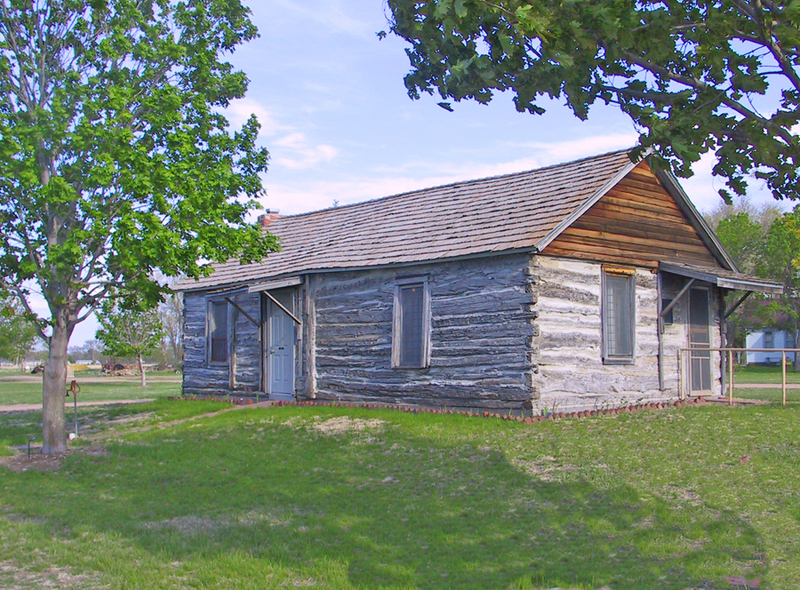 The station house is an original log building that once stood along the Oregon Trail a few miles west of Gothenburg. It was built in 1854 fur trading post and ranch building and converted for Pony Express use in 1860. After the Express's demise, the building was used as an Overland Trail Stage Depot and several other uses. In 1931 it was moved to its present location inside the city and has been open to the public since 1954. The museum is filled with Pony Express artifacts. My favorite being the mochila used by the riders. 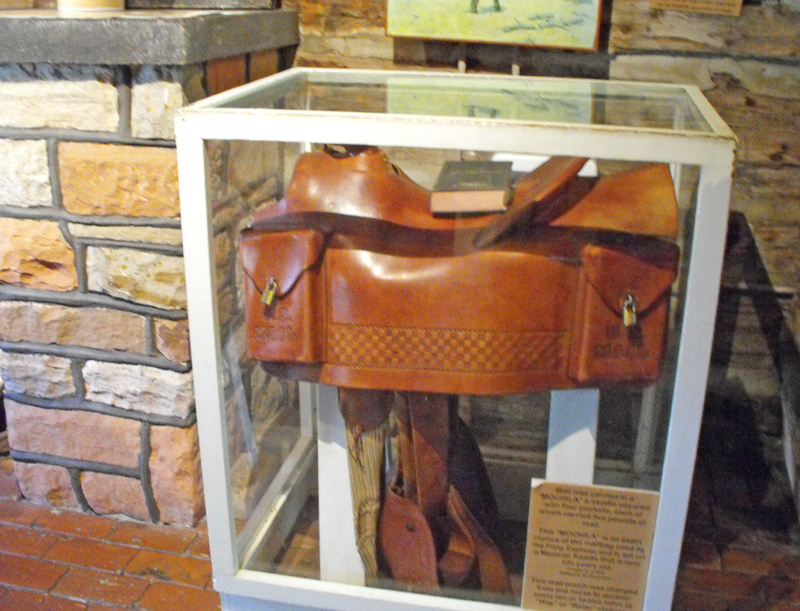 A mochila was a leather pouch that fit over the saddle with slits to allow the saddle horn and cantle to protrude and was easily yanked off the worn out horse and tossed over a fresh one when the rider raced into a station. The Pony Express Station is just across the street from Gothenburg Historical Museum. There is also a House Museum in town with a barn, sod house, windmills and life-sized barbed wire sculptures reflecting life of the early settlers. Lincoln County Historical Museum is a treasure trove of 19th century life. The museum interior is only one part of the story. Out back in the Pioneer Village you will find an original Pony Express blacksmith shop. A plaque on the side of the Pony Express Blacksmith Shop reads: "Erected by the people of Lincoln County in the year 1931 to commemorate the Pony Express riders. This is one of the regular stations of the pony express riders. The log blacksmith shop nearby is the original building used for shoeing the ponies. The Oregon Trail continued west along the south bank of the Platte River." The Pony Express route passed Courthouse Rock, Chimney Rock and Scotts Bluff. The Scotts Bluff National Monument covers much of that period in our history and has an extensive collection of the paintings of William Henry Jackson who created a colorful map of the Pony Express route in 1860. Climb high atop the bluff and you can look down on mush the same landscape those fearless riders galloped through. In Nevada, the riders found few settlements. What they did find was some of the most beautiful landscape imaginable, from craggy mountains to flat desert. Blooming sage in autumn created a sea of gold. Quaking Aspens shimmered in the sunshine. Mountainsides assumed fascinating shapes. Wild horses, coyotes, eagles and other animal species enlivened their experience as they raced across this lonely countryside. On a trip down Nevada's Hwy 50, dubbed American's Loneliest Road, I discovered one of the Pony Express' best-preserved station houses in Nevada. Sand Springs is located next to Sand Mountain, which formed about 4,000 years ago. 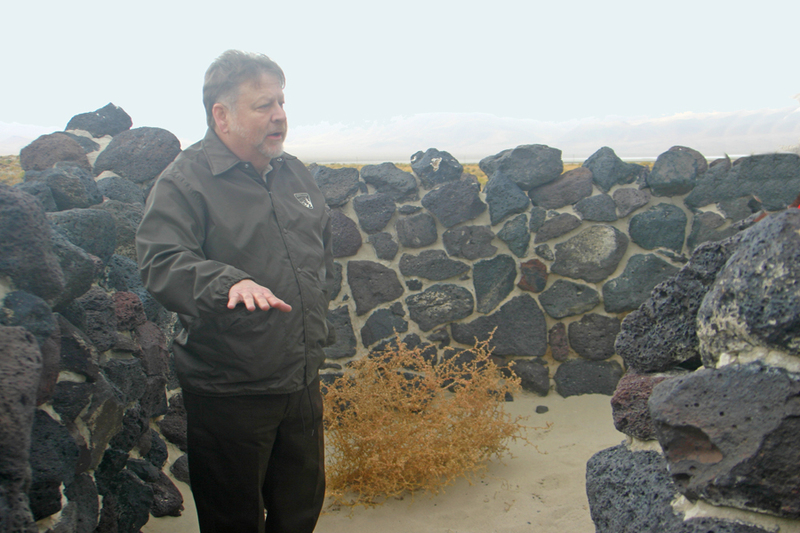 The towering mound of sand stands about 600 feet high and attracts ATVers and sand boarders from all over but the ruins of the small Pony Express station was a part of history that will long be remembered but never relived. I thought of all the young men who had galloped in and out of that station stopping sometimes to sleep and often just to get a fresh horse. Some never lived to reach their destination. Indians targeted the Pony Express: a fall from their galloping horse oor any accident on this lonely trail could mean a slow death with little chance of rescue.